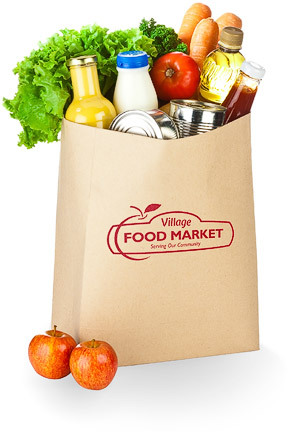 The HOPE Centre is a registered Canadian charitable organization and a registered non-profit British Columbia and Ontario Society. 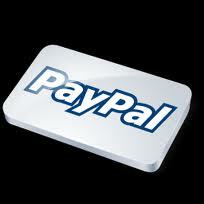 Or use PayPal to make donations. Become a Friend, or Supporter, or Partner with The HOPE Centre, by pledging regular monthly support. Tax receipts are issued once a year, at the beginning of the year, for the previous year. Right: May 8, 2014. 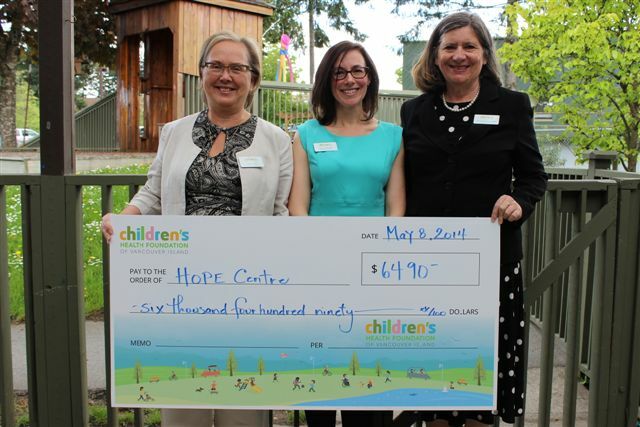 Children's Health Foundation of Vancouver Island, Grant Presentation to The Hope Centre. The HOPE Centre sincerely thanks the following agencies, organizations, and companies, who have provided valuable grants and support: United Way, Central and Northern Vancouver Island; Children's Health Foundation of Vancouver Island; BC Ministry of Children & Families Development; Kinder Dream Foundation; Gabriola Recreational Society; The Lions Club; Coastal Community Credit Union; RDN Grant in Aid; Church On The Rock (Gabriola); Canada Post Community Foundation. Individual donors are also deeply appreciated.